Patriotic a little, I was thinking now is the perfect time to start a 4th of July piece for next year. 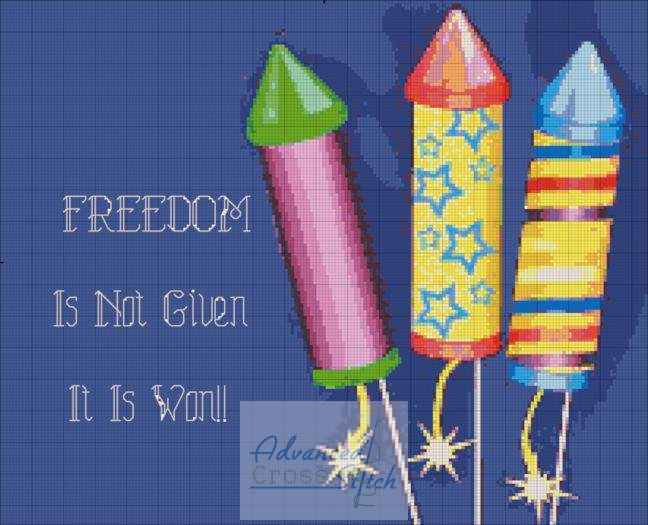 Here is Freedom is not Given, with brightly colored fire crackers lit on the side. This is 39 colors and 205×166 stitches in size.